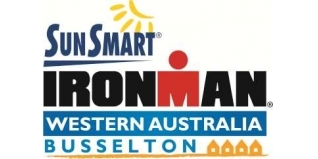 The day was dominated by former Ironman 70.3 World Champions, with both winners - Terenzo Bozzone (NZL) and Melissa Hauschildt (AUS) - having achieved that before, and even second placed man, Andy Potts (USA), is also a former world champion over the half distance. For Bozzone - who has more Ironman 70.3 victories than we can count - this was actually his first Ironman win, and he achieved it in some style via a 4:10:49 bike split. Potts (4:20:05) was able to claw back some time on the run, the pair running 2:50:38 and 2:44:41 respectively, but would still have to be content with second place. Their finishing times represent national records for both New Zealand and the USA over the iron-distance, Potts just 10 seconds inside the mark set by Andrew Starykowicz at Ironman Florida 2013. While she was a DNF at her first attempt in Kona this year, Melissa Huaschildt continued her record of winning every other Ironman she has started. Second placed Mareen Hufe (GER) and Sarah Piampiano (USA) both join the Sub-9 club for the first time, the top three finishers separated by barely four minutes at the finish.